Good bad, bad blood - Genes do dictate how soon your skin ages and at what rate. In fact, scientists studying the link between your genes and aging in general, including skin aging, are trying to find a way to tweak human genes so age-related diseases including wrinkled skin may be averted. It is a term used to describe the body's natural aging process, a biological clock, if you may. For your skin, this phase means less efficient production of collagen and much slower process of skin cell turnover. One potential remedy that may lead to profound and longer term effects is stem cell treatment. Stem cells are unassigned cells. When skin cells die, a stem cell may take its place or, may not. During surgery, stem cells are physically taken out and then implanted where skin needs help. More radical uses include treatment of diseases. The sun is good for your health - your blood and bone health most especially - but only very little of it is required. UV rays cause your skin damage on 2 levels: surface and deep, that is, down to the cellular level where the damage is likely to be irreversible. While sunscreen is a good preventive measure, no amount of sunscreen can give you absolute 100% protection from UV. So, stay in the shade whenever you can help it. Free radicals damage otherwise healthy cells, including skin cells. A rogue electron in free radicals attempts to combine with electrons in your cells. When the electron successfully invades your cell, it catalyzes a series of cellular level processes that lead to damage, cell death, or even transform the cell to become a free radical itself. Boosting antioxidant levels is a key preventive measure. Antioxidants, whether ingested through your diet or applied to your skin, help neutralize free radicals so the electron cannot combine with your cells. Irritation, swelling and other manifestations of allergies cause inflammation which, in turn, leads to skin damage and aging. Protect your skin better by becoming a more responsible and smarter consumer. Read the labels and get to know your skin and your products better. Skin at every age needs a suitable skincare regimen. The first component your skin loses are antioxidants. Therefore, towards your 30s, you need to boost your antioxidant levels through serums and creams. 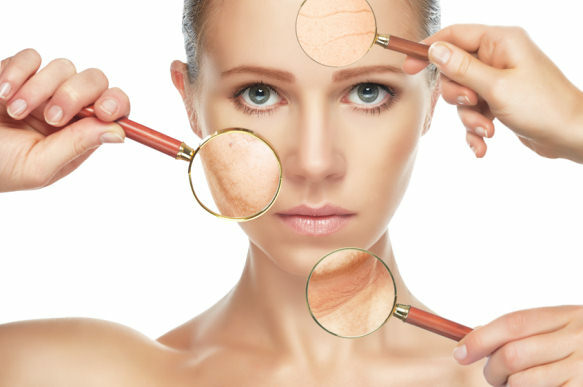 Then your skin begins to lose energy, thin out and become more unable to turnover new skin. 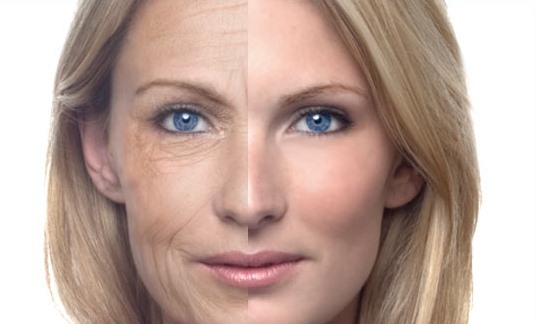 That's why aging skin will eventually require peptides, ceramides and retinoids. Your vices are a major cause of skin aging. If you smoke, the estimated 4,000 chemicals you inhale with every puff are acting on aging and poisoning your body, including your skin. Sleep gives your body the time and space to heal and treat itself. When you're getting less than 7 hours of sleep, your skin is unable to optimize this window of opportunity for repair and rejuvenation. What you eat is just as important as how you eat food in your diet. Boil and steam your food as much as you can. Stay away from processed foods which are often laden with toxins as well as unnatural or synthetic food ingredients which your body is unable to digest well. Exercise 3-to-4 times weekly to improve circulation.